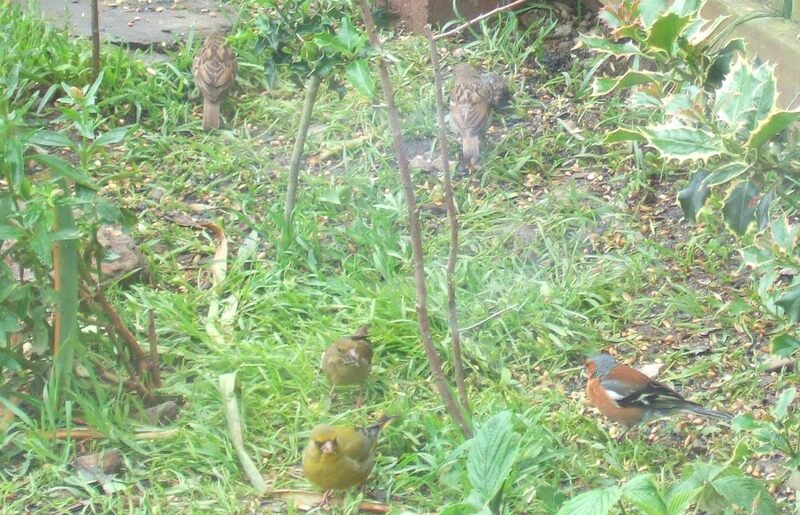 Our garden is full of birds! 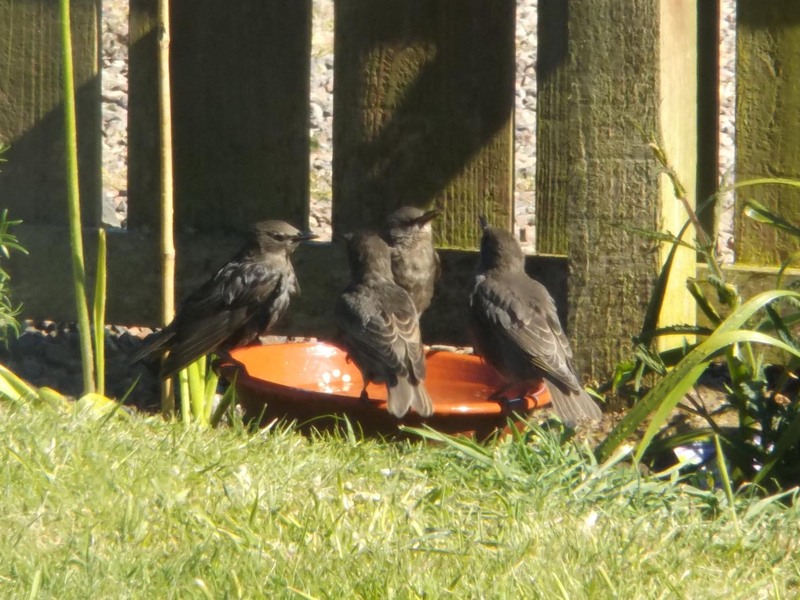 The first crop of fledglings have arrived and they, together with their exhausted parents, are everywhere, greedily looking for food (and water). It wasn’t like this when we first moved here. 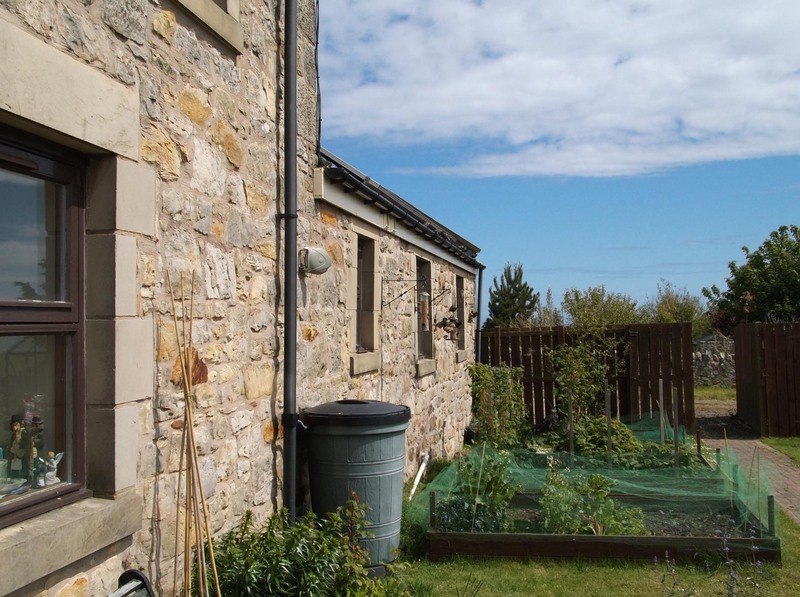 We arrived some five years ago to a cottage that had been converted from an old steading. 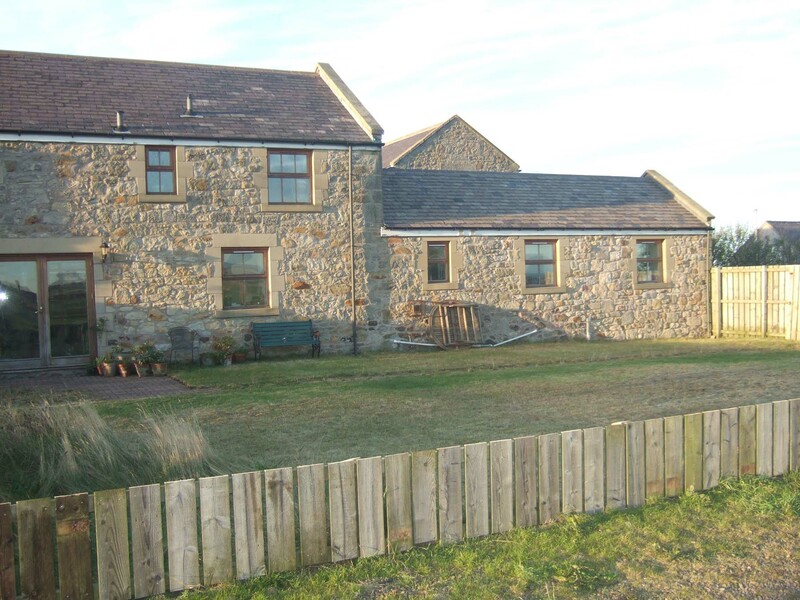 After the conversion, it had been let to temporary tenants. Nobody had put energy or effort into the garden. 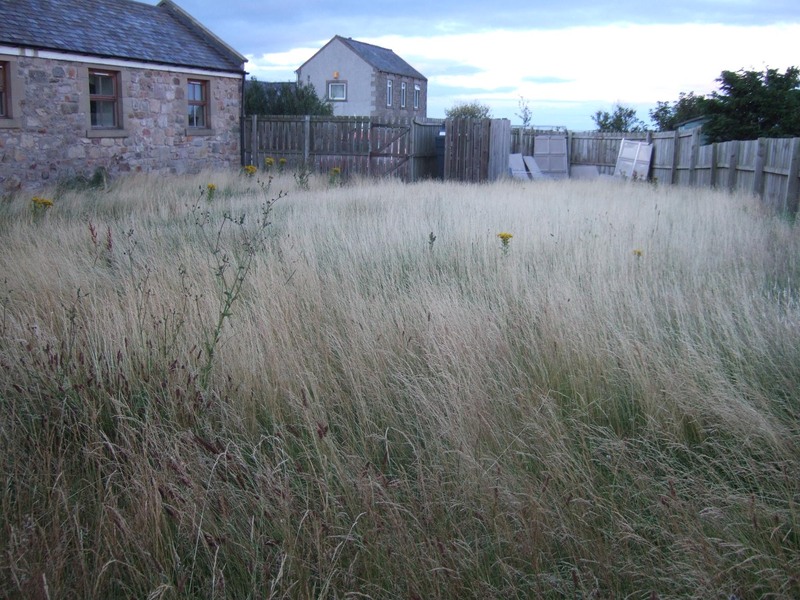 We inherited a wild grassy field of a garden. 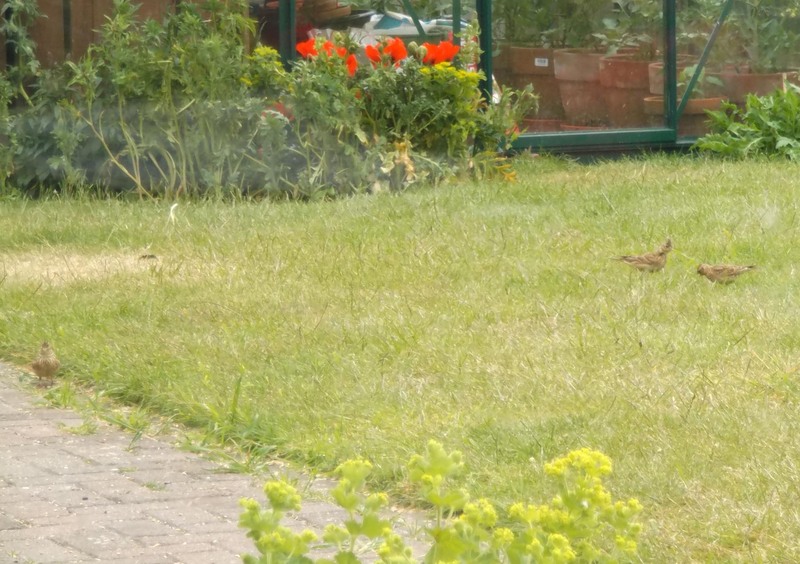 When we had tamed our wilderness (mown the lawn), we had nothing in the garden but grass – nowhere secure for birds to shelter bar the one clump of grass we left (on left of picture below, just inside the fence). 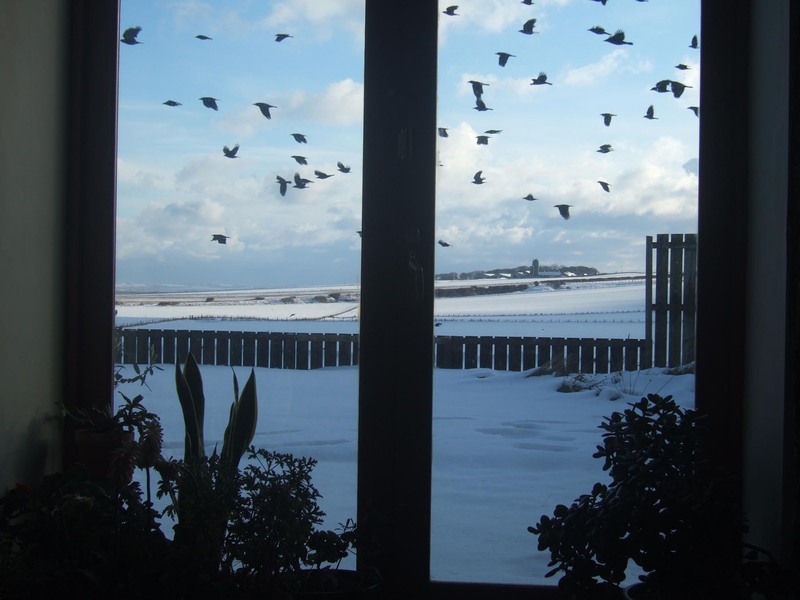 That winter birds came and went as it snowed and snowed. They must have been very hungry – but none stayed. How could they – there was no shelter in our garden. But as we dug beds and things began to grow, the birds began to visit. Our mornings start with the ritual of putting fat balls and bird seed out for the birds. 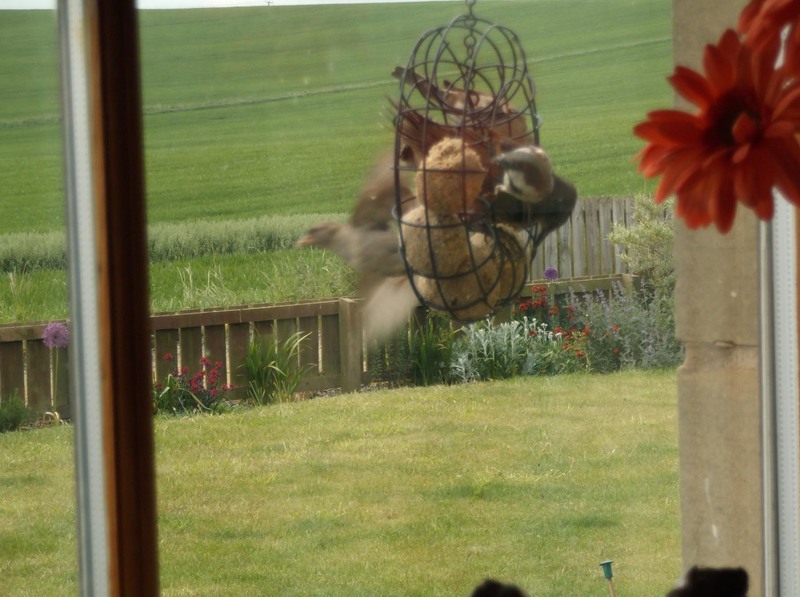 Some goes in birdfeeders hanging on walls and fences, and some is scattered on the path (we grate the fat balls up). This is to cater for all tastes. 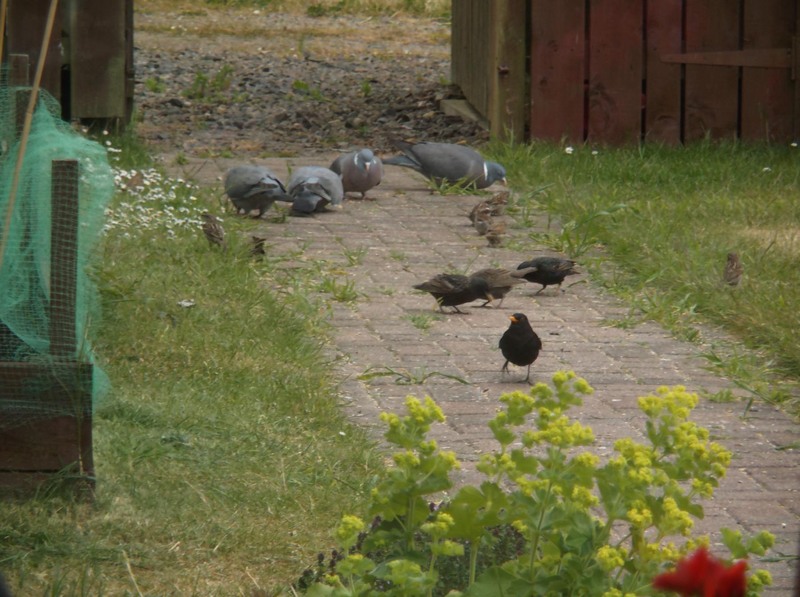 Some birds like to graze on the ground…(this is a family of collar doves that came for a few days and then moved on….same with the crow.) 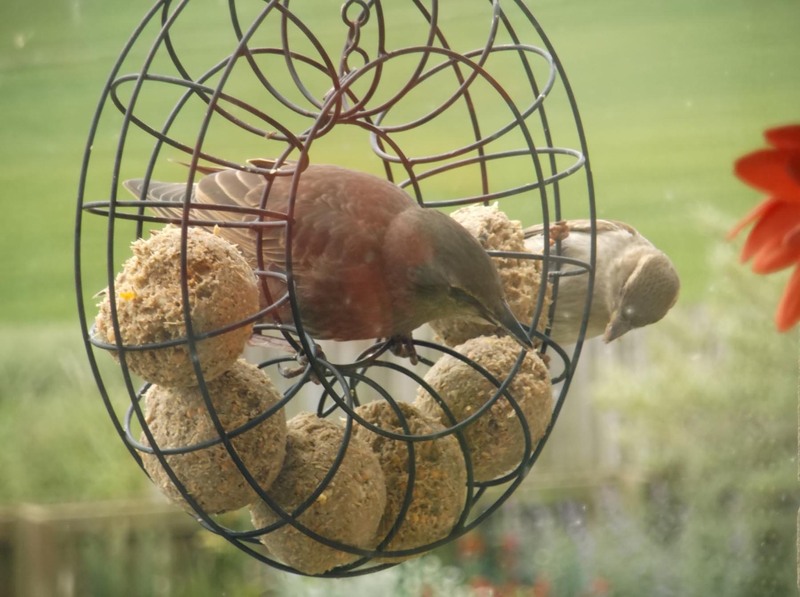 Some eat at the feeders… There’s a great deal of argy-bargy, particularly at the feeders. Remember these are young uns, learning how to cope with just about everything by themselves. They don’t only have to learn to share the feeders – there’s the drinking water/bath tub as well. 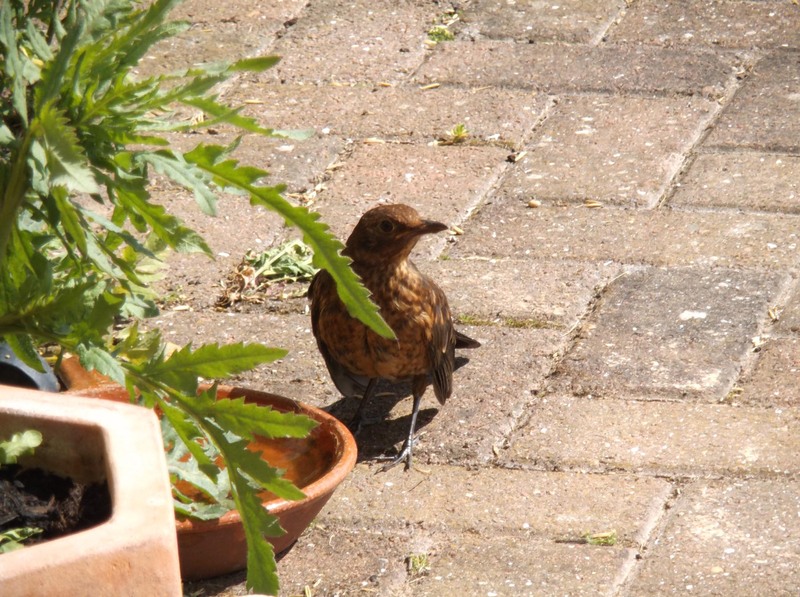 One of my favourite ladies, this doe-eyed Blackbird teen, hesitantly approaching the cat drinking water. It’s all the same to them (provided the cat isn’t around, of course). 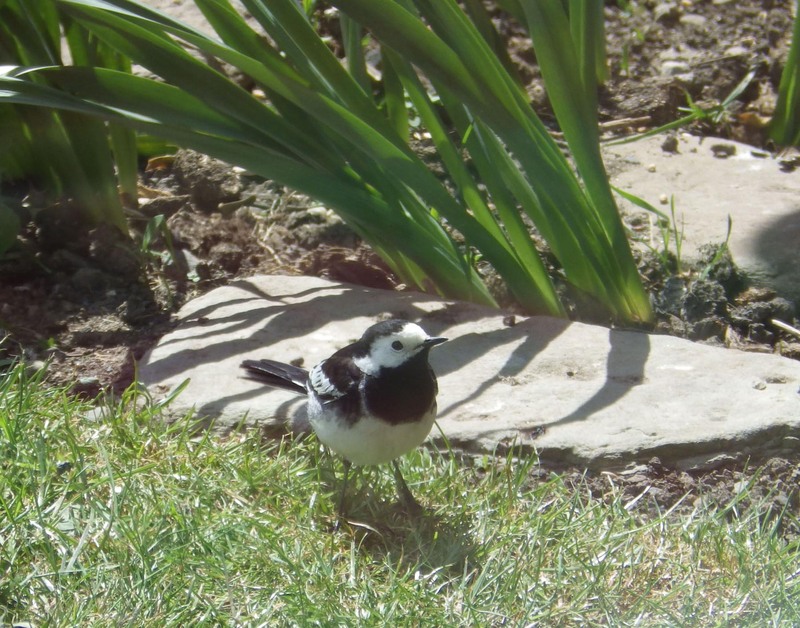 We are especially fond of the wagtail family who have been returning to spend their summers here for several years. 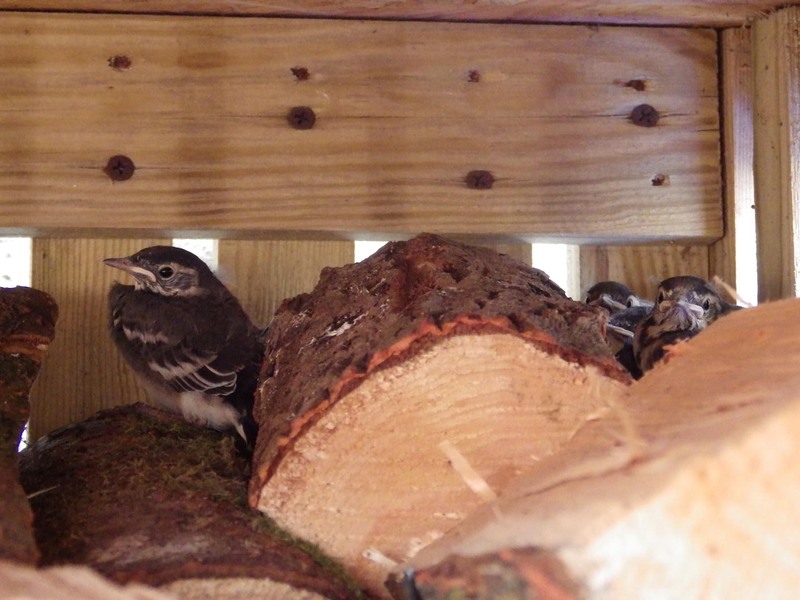 But we are disappointed that the wagtails have not chosen to nest in our woodshed this year (as they have for the two previous years. Their babes were just a hoot.) 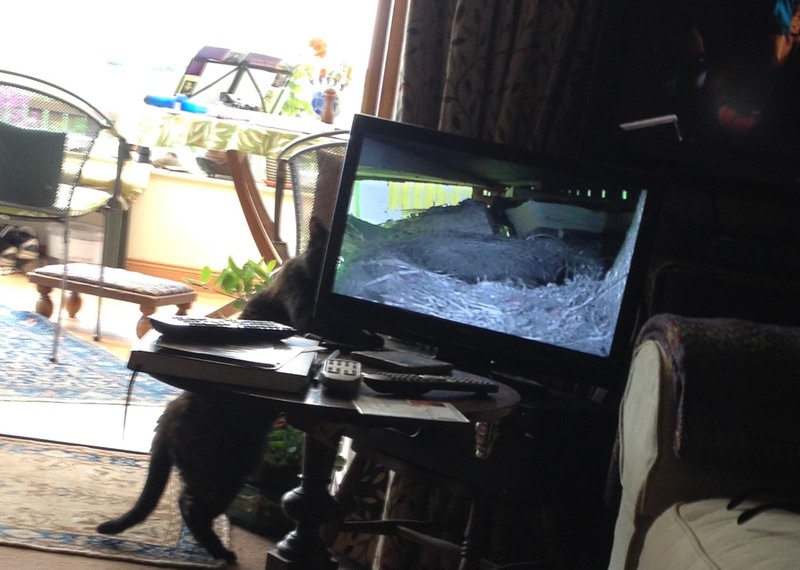 Last year the blackbird also nested in the woodshed, and we got birdtv set up. It was the best! 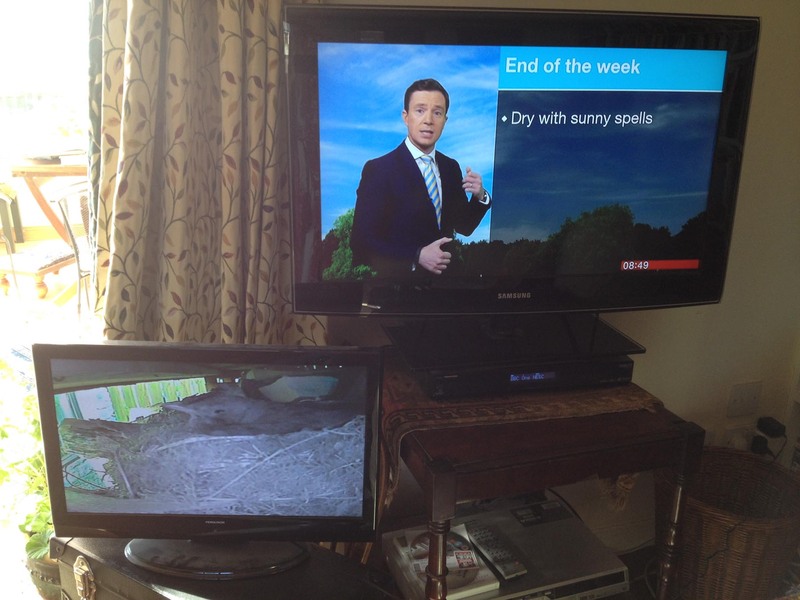 Sorry Mr Weatherperson – it was far far better than real telly. 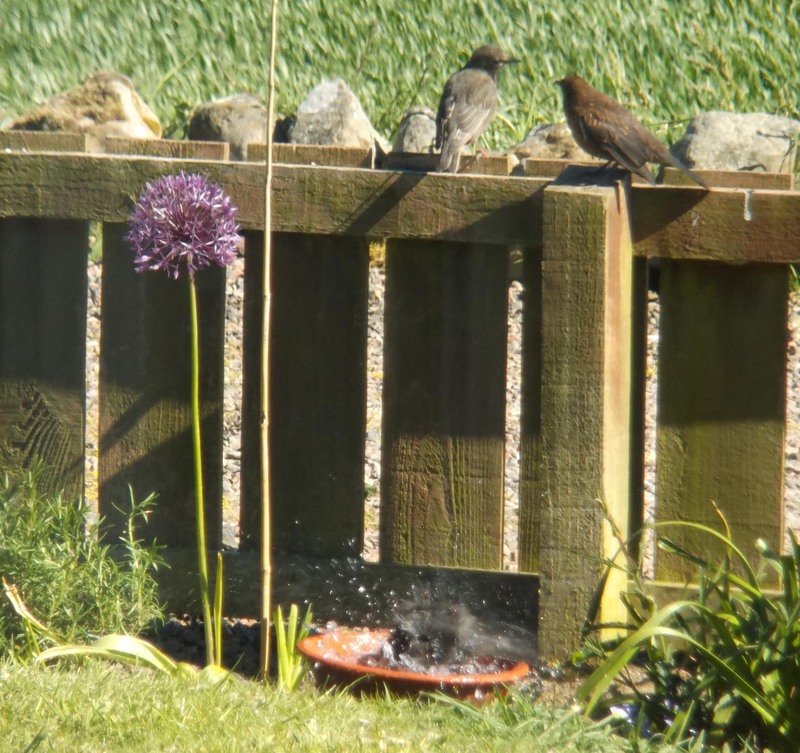 Here’s Mama Blackbird working hard to feed her chicks. 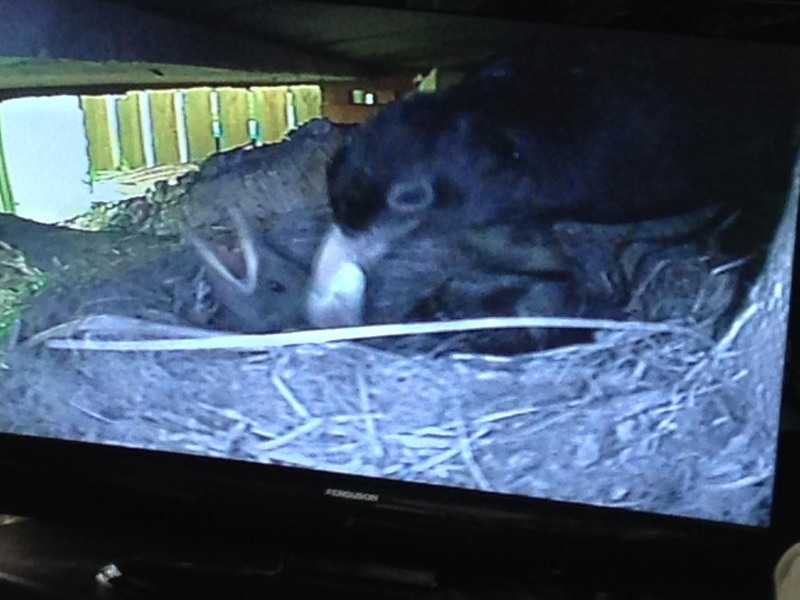 And here’s Papa Blackbird working hard to keep the nest clean! 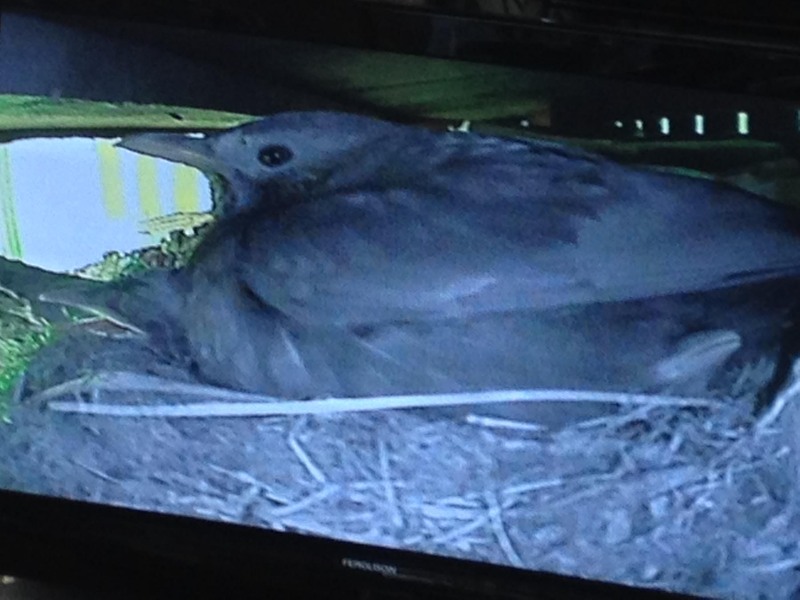 Mama Blackbird knew how to keep her chicks in order – look at that little squashed face on the right! 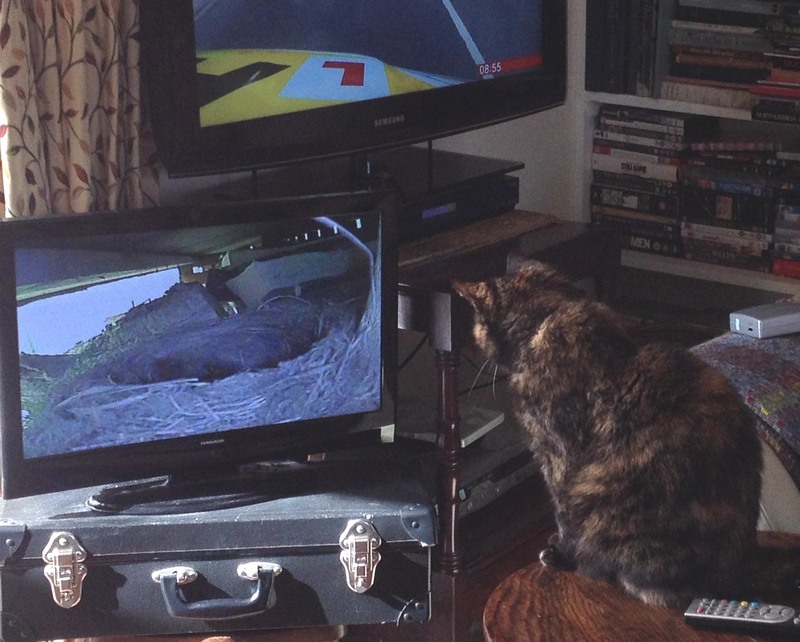 Somebody else in the house was very interested in birdtv… But poor old Poe – she’s really confused! 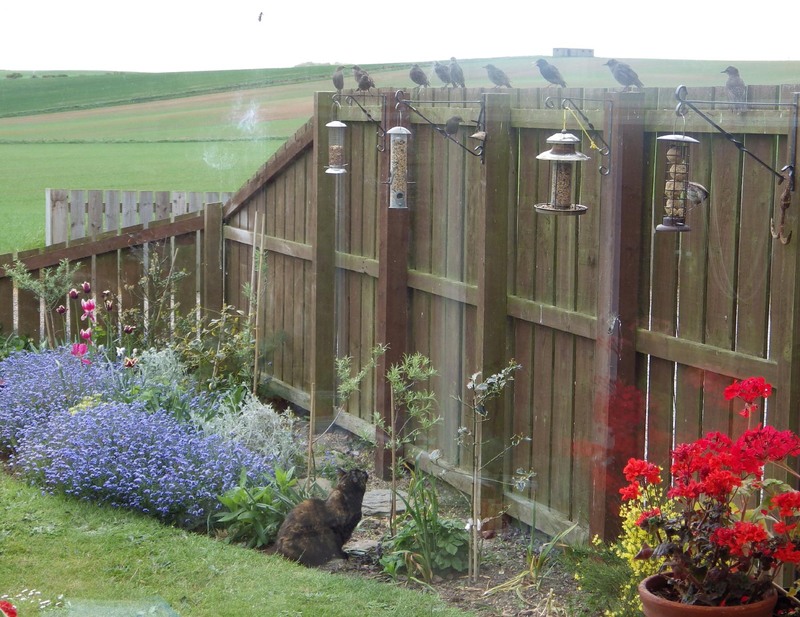 Love this pic of her trying to work out where the baby birds really are. When she was younger, she was really seriously into bird watching … But now she’s older, she just lets the world go by… Unfortunately there are other teens in the block. 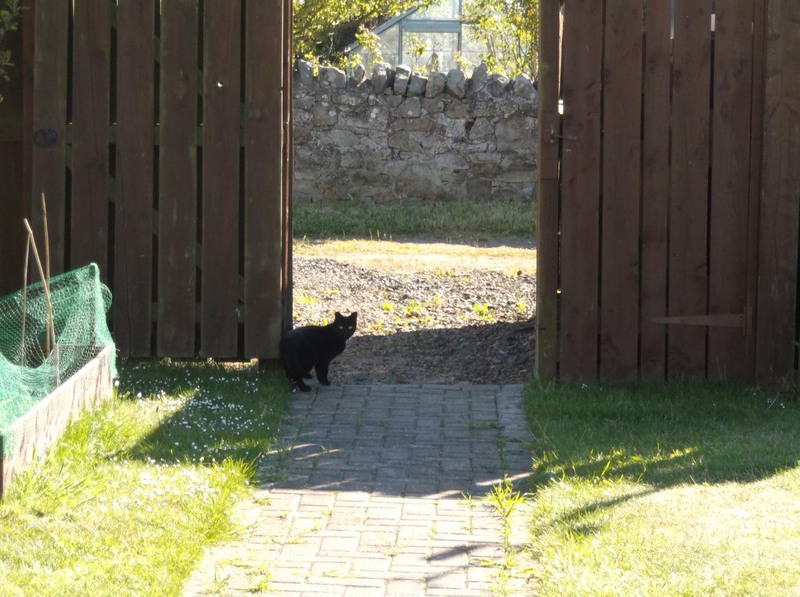 This is our neighbours’ young cat who is fascinated by what goes on in our garden. 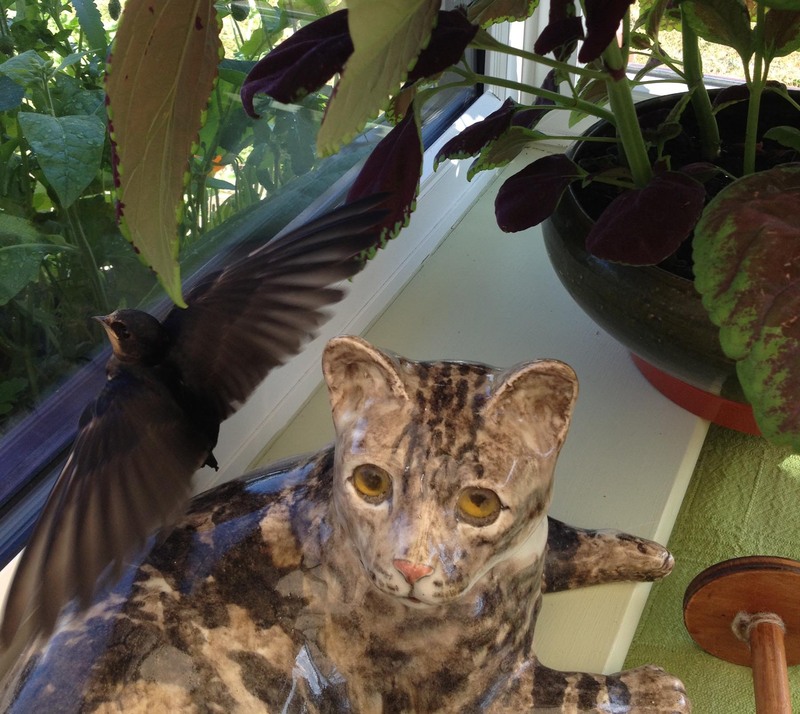 Sometimes young bemused teens fly into our conservatory and have to be coaxed out. 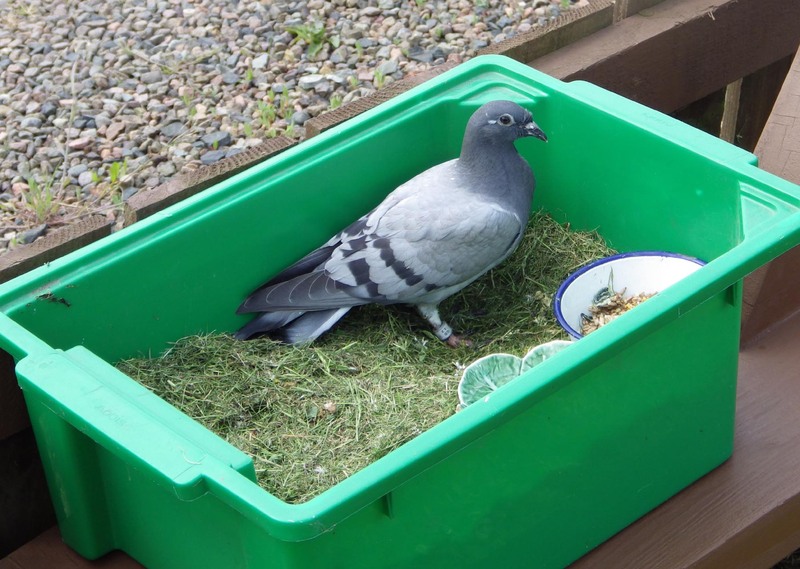 One year we had a silly sick young carrier pigeon (nicknamed Gormy) whom Stephen loved to death (sadly that’s true though it was a very poorly bird when it arrived). We were beginning to think that this was going to be rather a disappointing year. No birds nesting in our wood shed, and where are the chaffinches and greenfinches we’ve found feeding at our table in previous years? These days, it’s quite ordinary birds that we find eating on our path… But you can never guess the animal world. Who was to arrive earlier this week but Larky Boy! 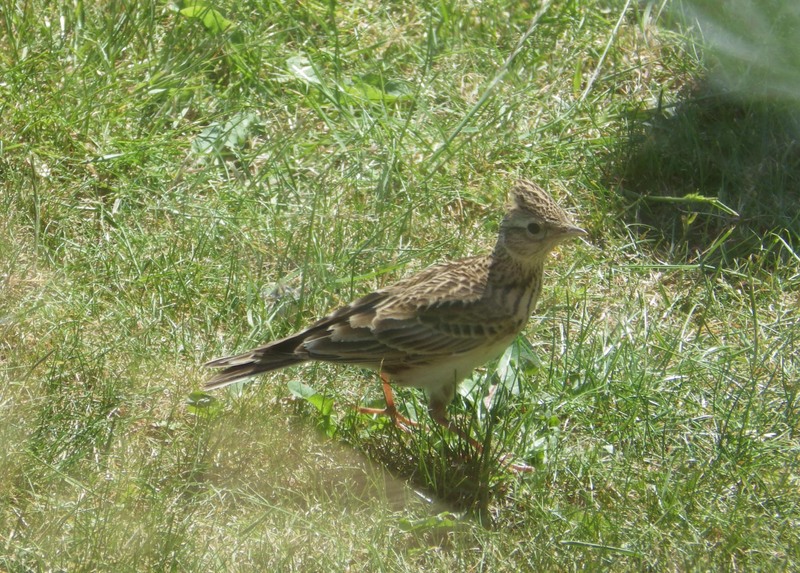 (I shouldn’t really label this bird so because I don’t actually know if it is male or female.) But he (I’m sticking with Larky Boy) is most unusual and a real delight. We hear the larks here on and off all summer, and sometimes catch brief sightings of them, rising helicopter-fashion from their nests in the local fields up, up, up to the heavens for some glorious singing. 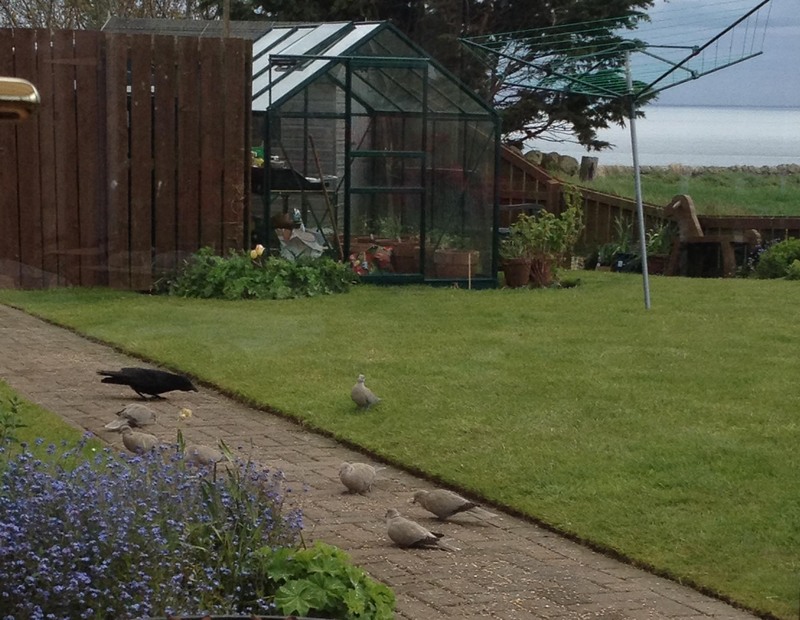 But they are very shy birds….apart from Larky Boy. He even did a little tentative practice singing on our lawn! The other day he brought his siblings. But they haven’t reappeared. He has though, – just got to enjoy his presence while it lasts. What pleasure it is to have these birds with us for a while. Sorry that you’re having problems leaving comments – but I’m glad you persist because it is so nice to hear what you think about what I’ve written! Yes – we think it was the best reason to move here too! Each day we say how lucky we are to be here. 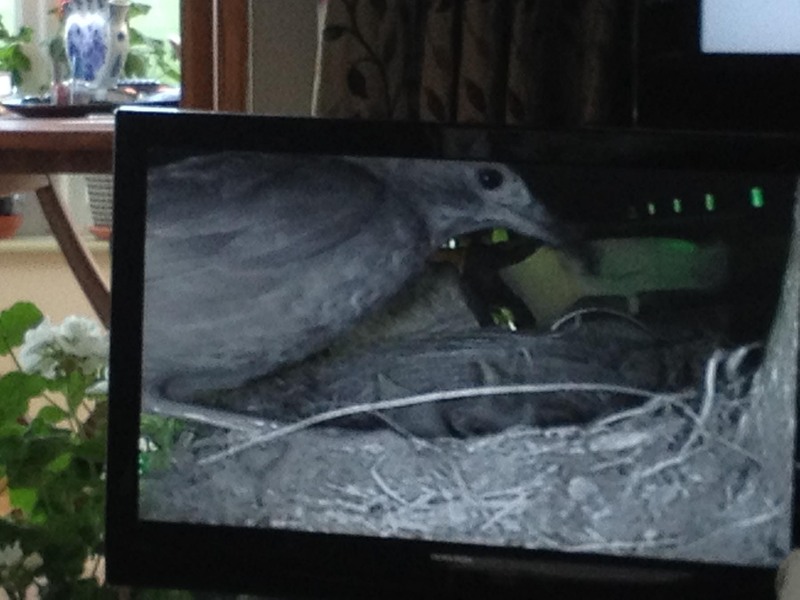 Birdtv is just a little camera set that you can buy over the internet and that links to the telly – the tricky bit is getting it into position so that it “watches” the birds! I sort of vaguely had a blog in mind, but we didn’t take photos for a planned blog – you just can’t not take photos here, Polly – it’s just so photogenic!! Actually, we have found it very tricky to get good bird pics – makes me realise how skilled (and patient) those professional nature photographers are. How extraordinary! You certainly don’t have a regular garden from what I have seen in your part of the world. 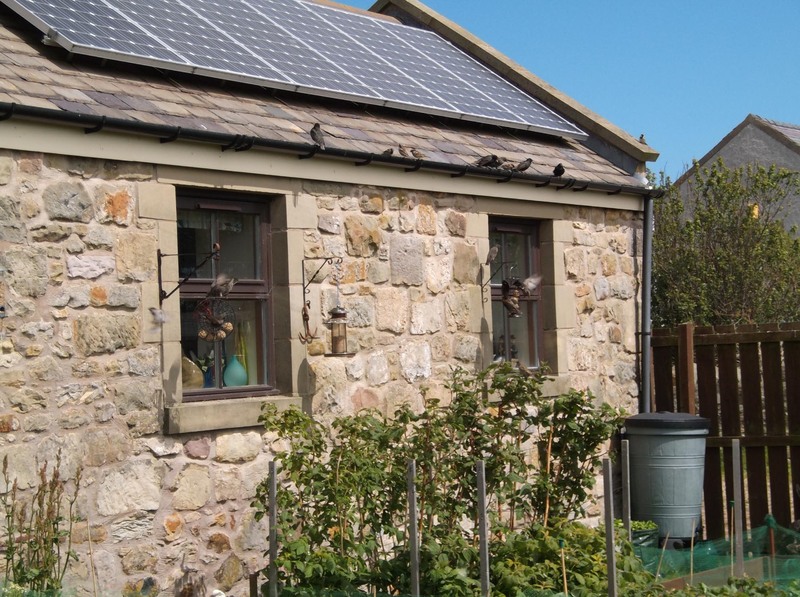 It is like a wee Eden, full of diversity, chatter and surprises. Yes – it’s been a surprise to us too! I’ve never been interested in bird life before but find it quite absorbing now. I think we get great variety because we are at the end of village, edge of fields (moor land on the old maps), and near sea too.